Join us as we offer powerful information from our region’s top experts on finance, health, sales, legal, and the business culture. The Women in Manufacturing and Industry is a subsidiary of the GNPCC Women in Business Conference. Christin is a 3rd generation owner of the Cardone family business, Cardone Industries. She currently holds the position of Chief People Officer, with global responsibility for Human Resources, Communications, and Employee Branding. Cardone is the largest, privately-held auto parts remanufacturer in the world and employs over 5500 employees worldwide. Christin leads the family strategy for their business, family governance, and also sits on the company’s board of directors. Christin was an integral part in bringing her family’s 1st non-family CEO on board in 2012 to assist her father’s move to the chairmanship. 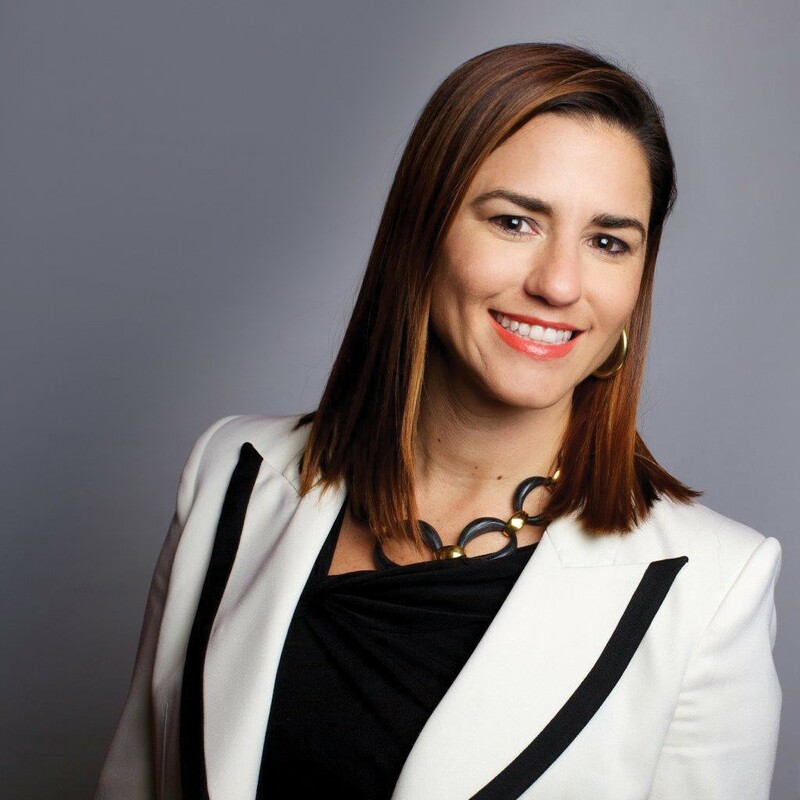 Prior to joining Cardone full-time, Christin received her co-active coaching certification from the Coaches Training Institute (CTI) and holds her accreditation with the International Coach Federation (ICF). Christin’s foundational leadership experience came from Johnson & Johnson, a Fortune 50 company, spanning Information Technology, Digital Marketing and E-commerce within J&J, as well as Market Research for Consumer Products and Pharmaceutical M&A Teams. Christin was mentored through the J&J IT Leadership initiative, as well as various Women in Leadership training initiatives. Christin graduated from the University of Alabama with a degree in International Business, and a minor in Italian. She and her husband, Dan, moved to Brussels, Belgium for a family business acquisition in Brussels, Belgium. While Dan developed the European operations of Cardone, she received her Masters in Management from Boston University’s International Program. They resided in Belgium for almost 6 years and had 2 children while there. Christin sits on the board of World Vision US, one of the largest non-profit organizations worldwide, working holistically in communities to help children reach their full potential by tackling the causes of poverty and injustice. Christin and her husband, Dan, have 3 boys, ages 11, 14, and 16. They live in suburban Philadelphia. Dan and Christin are “Spousepreneurs”—a couple with multiple businesses between the two of them. So You Think You're Secure, Huh? Current updates and tips on security measures businesses and individuals need to develop into their security plans and additionally touch on the “Framework for Improving Cybersecurity” authored by the National Institute of Standards and Technology (NIST), and how it relates to the small business sector. Mr. James Carty is currently the Chief Security Officer (CSO) of the Philadelphia Division of the FBI, where he is responsible for the security program covering all functional areas of security; physical , personnel, and information. 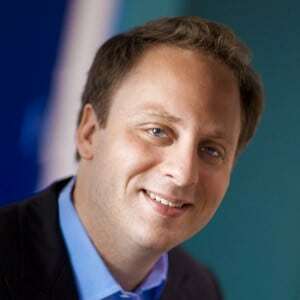 Jim also has the Certified Information System Security Professional (CISSP) certification. He is a veteran of 36 years in the law enforcement community, and has additionally been an Adjunct Professor of Computer Information Systems (CIS) for 18 years at Community College of Philadelphia (CCP) where he has taught classes in computer networking, digital forensics, and computer and network security. Jim has both a Bachelor of Arts (BA), and Masters of Science (MS) degree in Information Systems Management from Holy Family University. Whether you are introducing yourself to someone for the first time on the phone or meeting someone face to face for a business meeting or at an event, you need to be prepared to tell your personal story and give your 30 second commercial. These statements are a critical part of any first impression and should be clear, dynamic and to the point. What is your story?? Jennifer got her start in the telecom industry, where she excelled at designing and implementing telecom hardware solutions for small, mid-sized and enterprise-level companies. In the years to follow she served as Vice President of Sales for Recovery Networks (now KeepITSafe, a j2Global company), a Philadelphia-based business continuity and disaster recovery services provider. She held the position of General Manager for Tierpoint’s Data Center, located in the Philadelphia Navy Yard. 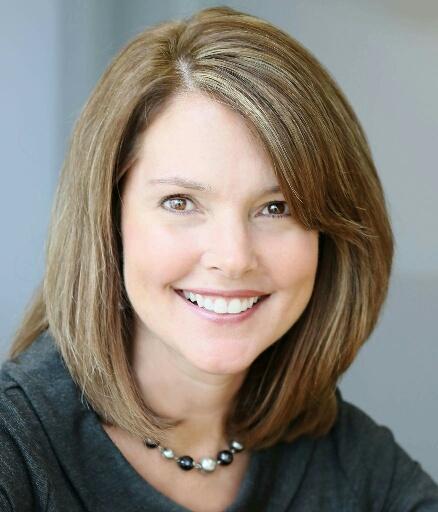 Jennifer was also the Chief Customer Officer for eMaint (now a Fluke Company), a global leader in Computerized Maintenance Management Software. In these roles, she built and managed sales and customer success teams, was instrumental in creating and maintaining a recognizable presence for the organizations, established and managed strategic partnerships, reduced churn and increased revenue through new business and cross selling initiatives and developed and managed comprehensive hiring and employee on-boarding processes. As a highly skilled networker and connector, Jennifer understands the value of creating and developing strong relationships both in the business community and with a customer base. She is a passionate coach and mentor who believes in the power of positive reinforcement, leadership by example and the value of continuous training and personal development. One of South Jersey Magazine’s “Business Women to Watch,” Jennifer earned a Bachelor of Arts in Political Science from Randolph-Macon College in her home state of Virginia and holds several sales and technology certifications. She sits on the Advisory board of Volunteers of America Delaware Valley and supports Bringing Hope Home, an organization that helps families living with cancer pay their living and household expenses. Her most important role is that of Mom to Rachel ( 21) and Ben (19) , both in college. She also has a rescue black lab-pit-bull mix, Josie. Her most favorite moments are those spent with family, her puppy and dear friends. Studies show that trade secrets are often the most valuable form of intellectual property, even more valuable than patents, especially for manufacturing companies. Most companies rely on NDAs, some confidentiality measures, and ultimately litigation to protect them; however, these measures alone are often not effective, and litigation can be very costly. In this session you will learn how to identify your trade secrets, including ones that are commonly overlooked, as well as the best practices you can implement today to enhance their protection without excessive cost. Nicole D. Galli is the Managing Partner of the Law Offices of N.D. Galli LLC, a certified women-owned business enterprise (WBE), which she founded in 2015 after having spent over two decades practicing law with two AmLaw 100 firms, an intellectual property boutique firm, and a full-service regional firm. The firm is based in Philadelphia and has an office in New York. Nicole focuses her practice on commercial litigation, including all forms of intellectual property (IP) litigation, and IP counseling, especially in the trade secrets area. Nicole advises clients in developing, and assists them in implementing, a thorough and effective program for the protection and management of these key strategic assets. Nicole has a long history of involvement with and leadership of various women’s and other professional and non-profit organizations inside and outside of the law. Most recently, she founded and is the President of Women Owned Law, www.womenownedlaw.org, a networking group for women entrepreneurs in the law, which has grown to over 200 members and representatives in 20 states since its founding in late 2016. Nicole is a graduate of the University of Pennsylvania College (’89) and Law School (’92). She lives in Center City Philadelphia with her husband, who is of counsel to Nicole’s firm, and their two children. Chris Scafario joined the DVIRC in 2007 to lead the organization’s newly formed Sales and Marketing Consulting practice. Having led over 300 projects, Chris was responsible for uncovering and analyzing meaningful insights for clients and helping them execute to become high-performance organizations. With deep industry experience, and expertise in research, strategy, lead generation, and innovation, Chris has become a national leader in sales, marketing and lead generation strategy and execution. In February of 2018 Chris was promoted to Vice President of DVIRC’s Consulting Operations, and spends his time working in Philadelphia and across the Nation's Manufacturing Extension Partnership, supporting the advancement of small to midsize manufacturers and their supply chain through the design, implementation and oversight of projects designed to improve enterprise performance in areas related to operations, marketing, corporate branding, sales management, lead generation, strategic planning and innovation. Marla Hamilton is a successful and proven Economic Development Professional with more than 25 years’ experience in economic development planning and implementation. With extensive public and private sector service, Marla has the demonstrated ability to identify business opportunities by enhancing policy development and creating partnerships that result in business and employment growth. Marla has worked collaboratively with entrepreneurs, small and medium-sized businesses, developers, banks, and unions across a variety of industries including manufacturing, services, banking, and construction. As Vice President of Marketing and Business Development at the Philadelphia Industrial Development Corporation (PIDC), Philadelphia’s economic development corporation, Marla managed its commercial business portfolio, identifying and working with owner-occupied businesses and partnering with banks and other lenders to structure financing packages that resulted in business attraction, retention and expansion, and permanent employment. As a PIDC Relationship Manager, Marla worked collaboratively with business owners to identify and solve operational deficiencies through business educational support systems to enhance management controls and lead to company growth. 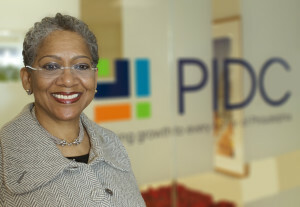 Drawing upon Marla’s vast expertise for assessing business needs and capacity-building, combined with PIDC’s commitment to business growth, PIDC tapped Marla to launch a new PIDC division, Client Engagement. As Director of this new division, Marla’s focus is increasing the business capacity of PIDC clients across the size spectrum by assessing and diagnosing critical business needs and delivering practical business solutions. Through this strategy, Marla utilizes a multitude of mediums including the development of the Business Builder Workshop series and recently introduced the PIDC Executive Leadership Series. Prior to joining PIDC, Marla served as Special Assistant to former Mayor John F. Street and in the Administrations of former Mayors W. Wilson Goode and Edward G. Rendell as the Director of the City of Philadelphia Minority Business Enterprise Council, the predecessor agency to the Office of Economic Opportunity. In these respective capacities Marla developed, negotiated and oversaw the successful implementation of diversity initiatives on major construction projects, including the Lincoln Financial Field and Citizens Bank Park sports stadiums, the Shops at the Airport and numerous Center City hotels, and managed economic inclusion and diversity efforts in all purchasing by the City of Philadelphia in the areas of public works, professional services, and supply contracting.